February is the shortest month of the year, yet the sweetest. The month of expressing love towards one another. 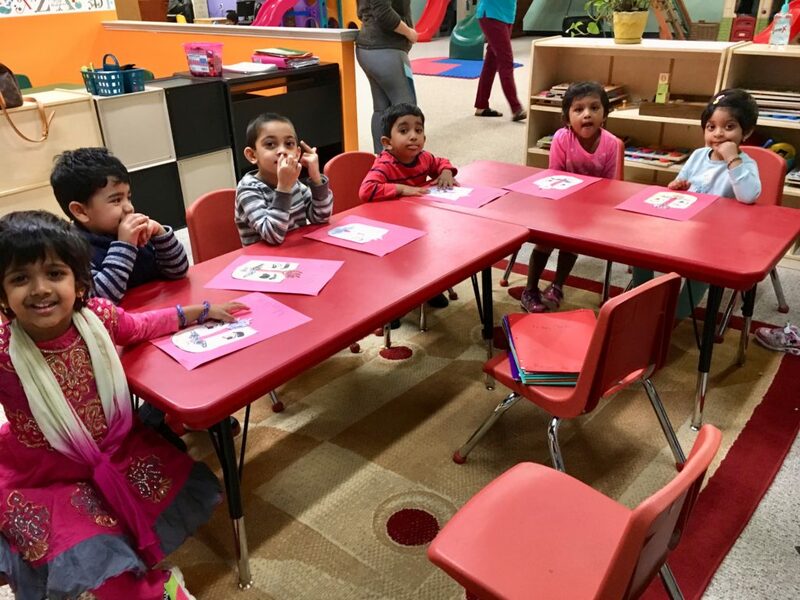 Our kids made Valentine’s cards for the parents & enthusiastically engaged in fun activities to celebrate Valentine’s Day! This month we have been working on letters R ,r-W ,w with art & craft highlighting them. They loved painting & creating interesting figures with the letters. We have been on good manners, parts of the body ,the numbers 1-10 . The most amazing is to see my kids writing their names confidently. I am proud of their progress all around. Greater fun ahead, with unconditional love for my little STARS !!! !